Having an affiliate program has allowed me to build a business quicker than any other strategy I have ever used! Since 1999 I have used an affiliate program in some form and have always made WAY more money with one than without one. 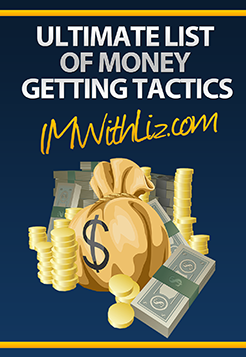 It's a strategy that has worked for YEARS for me now and although it does take some serious work to put it together and get it working it's well worth it. If you look at other successful marketers you will see an affiliate program behind their business. It really is the secret sauce to BIG success. In the following webinar I covered how to get started with creating and running your own affiliate program. The strategies I talked about are not being taught anywhere else, so make sure you grab a pen and paper and take some notes! If you have any questions please be sure to leave them in the comments section on this post.